If you are looking for some unique couples shower invitations, then you should check out these modern shower announcements, with modern typography elements, sleek vector graphics and other contemporary accents. 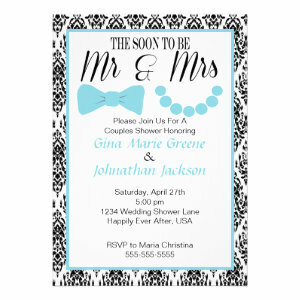 Filled with beautiful typography and stunning design, these Modern Couples Shower Invitations can be used for any type of couples shower no matter the theme. 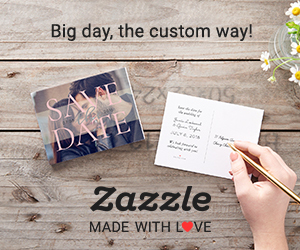 If you are looking to throw a couples shower then our customizable design invitations aim to make the process easier and hassle-free whilst giving your guests a special reminder about your celebrations. The stylish announcements come in a variety of colours from pastels to brighter shades, black and white and shades of grey, each with it's own style of typography. 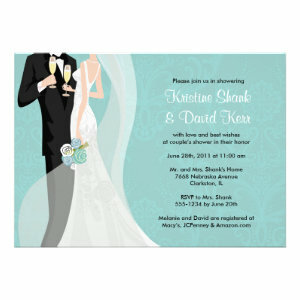 All of the couples shower invitations can be personalized. You can easily change the text, font style, colours and layout. There's even a selection of paper types to pick from, including several basic types, canvas, high gloss and cotton. If you don't yet have a theme or style of shower you would like to throw then these typography invitations are a great choice as they can be used to compliment existing themes or can be used as a template for other ideas. 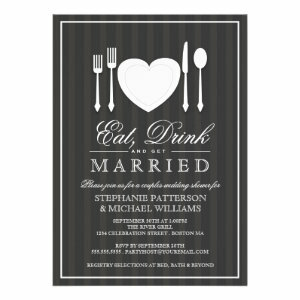 A lovely choice of Modern Couples Shower Invitations featuring beautiful typography font styles perfect for any kind of couples shower.